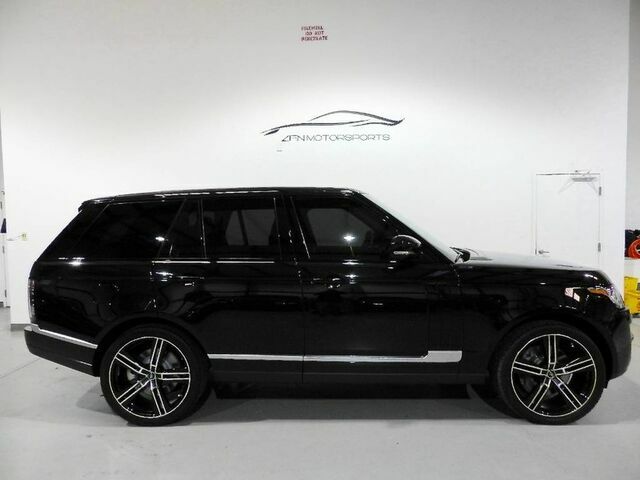 2014 RANGE ROVER V8 SUPERCHARGED The epitome of the Ultimate SUV. This Land Rover Range Rover V8 Supercharged does not disappoint. Finished in Santorini Black over Black Leather Interior, Meridian Premium Audio 825W Stereo System, Grand Black Lacquer Trim, Front Climate Comfort Package with Front Climate Cooled and Heated Seats with Massage and Adjustable Bolsters, Front Cooler Box, Ebony Headliner, Soft Door Close. All of the right options you want in a ultra luxury SUV. CarFax Certified ONE OWNER. Garage Kept. Meticulously Maintained. Trade Ins Welcomed! Financing Available! Door to Door Transportation Available! For more information call or text Gary 727-560-3413 or visit www.zenmotorsports.net ZEN MOTORSPORTS... RESTORING PEACE OF MIND TO THE CAR BUYING EXPERIENCE! !